Mariana Daher is the Regional Quality Manager at BASF. She manages a team of almost 12 people and is proud to say that most of them are female. She is responsible for quality management and quality assurance as well as quality control of the Seeds&Trait business activities in Latin America focus on continuous improvement and operational excellence (Lean Six Sigma). Mariana is a biologist and has always worked with biotechnology. She has a Master’s degree in biotechnology and molecular breeding. She started her career as a manager in 2004 and since then has worked up in the industry to leadership positions. 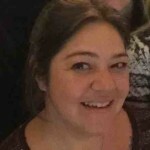 Mariana loves to manage people and help build high performance team, so she is also a CliftonStrenghts® coach. .
Moving forward, Mariana would like to work in a global position in the US. She plans to continue to apply her core values of empathy and putting herself in the shoes of others. When not engaged with work, Mariana enjoys traveling, reading, wine, and meditation. Worldwide Association of Female Professionals Member, Mariana Daher, can be found on the Association Directory, where she is looking forward to networking with you.